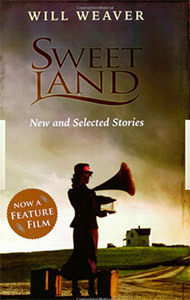 Includes “A Gravestone Made of Wheat,” the beloved story that was the basis of the film, Sweet Land, as well as the hit musical, Sweet Land. This paperback original includes several new stories that complement the author’s hand-picked favorites from the original collection, A Gravestone Made of Wheat. Together, the stories offer a vivid portrait of swirling, intergenerational changes in the Midwest. New highlights include “Blaze of Glory,” a poignant tale of an RV road trip and a senior couple. In “Haircut,” a young boy and his beloved grandfather struggle to communicate across a great cultural divide. In the capstone story “The Last Farmer,” a high-tech farmer’s dilemma is with history, tradition, and an old house on his land. Twelve stories in all portray the yearnings of the human spirit and the continuing, sometimes wrenching transformation of America’s Midwest. “Among the best books of the year…”—Minneapolis Tribune. This collection came about as a tie-in to the movie Sweet Land, based on the story “A Gravestone Made of Wheat.” It was tough picking the “best of” my older stories, and fun adding some brand new ones (I think “The Last Farmer” is some of my strongest work). I also like the mix of seriousness and humor in this collection.